To download and read more about the patch set, Joel Kallman from the APEX Development team wrote a good blog post about it. 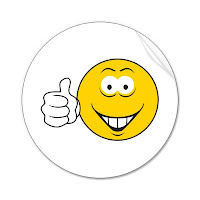 Thumbs up for the APEX Development team for giving us these nice additions and the fixes. The APEX Development team updated the Statement of Direction for the future releases of Oracle Application Express. Development for Mobile Applications – Include themes and HTML templates suitable for smart phones and mobile devices. Charting - Provide for chart rendering without using Flash (to enable display on mobile devices). Error Handling - Improve error handling and user-defined exception processing. 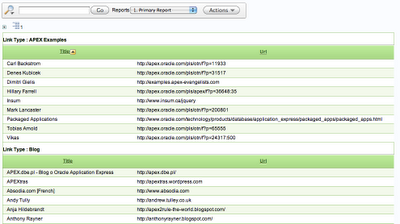 Interactive Reporting – Allow multiple reports on one page and support pivot queries. Tabular Forms – Allow multiple tabular forms on one page and continue to expand tabular forms validations. Master-Detail-Detail – Allow the generation of pages to support master-detail-detail relationships. Dynamic Actions – Enhance conditional processing and allow dynamic actions to be defined for tabular forms, reports, and buttons. Plug-Ins - Add plug-in support for additional components and enhance plug-in definitions. Use of ROWID – Allow usage of ROWID for Automatic DML processing (as an alternative to identifying the PK columns). Modal Dialogue - Add ability to display a dialog on top of a page (the rest of the page will be grayed out). Websheets – Allow for greater control over user interface, new page section types, and enhanced spreadsheet / datagrid integration. 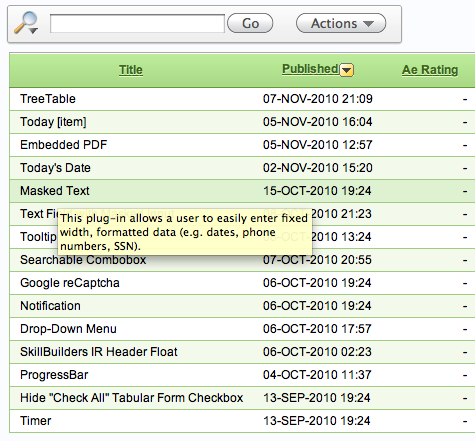 Data Upload - Enable end-users to upload data into an existing table (within an application). Accessibility – Improve accessibility in existing themes and HTML templates. Numerous functional and performance improvements. Great features I would say! For many of the above items we work around them with some hand written coding. As many of you know, I'm a heavy supporter of charts and dashboards and we've already been working on a non-Flash based charting engine for the current release of APEX. The Links section as it currently stands on apexblogs.info I moved off the homepage. In APEXBlogs v2 it will be an entire new page which holds an Interactive Report with all the Links I think are useful for people wanting information about Oracle Application Express. As it's an Interactive Report, you can use the Group By functionality (new in APEX 4.0) to see the number of links by type. I created that report as the alternative view. As you can see in the screenshot I started to capture links to Blogs (obviously), Oracle User Group APEX SIGs, APEX Examples and General APEX Links. 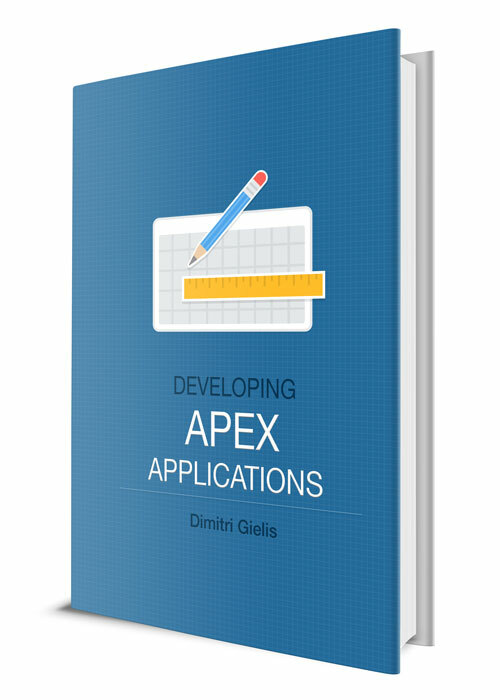 As I wrote before, it's not just an update of the current APEXBlogs, instead it's a complete new release written from the ground up with many new sections/features. 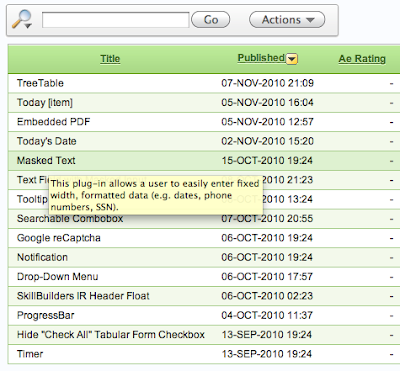 One of the new sections in APEXBlogs v2 is the APEX 4 Plugins section. Aggregating blogs and tweets is fine, but in the APEX 4 world, plugins became very important, so I definitely wanted to keep up with what people wrote. So this new section of APEXBlogs is exactly doing that. It searches for the APEX 4 Plugins out there and aggregates them and provides you with an easy search (Interactive Report). 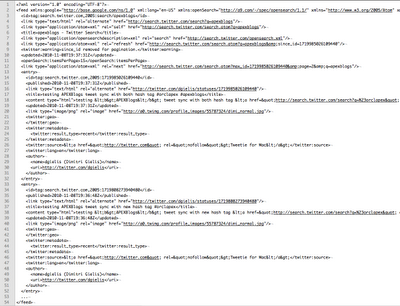 At this stage it aggregates the Oracle Plugins page and the Community Plugins rss feed. I decided to keep it like that for now and am not including other personal links to APEX plugins, but might consider to do that in the future if I see they don't get posted in the ones I aggregate now. As you might see in the screenshot, I added a Rating column... I thought to review the plugins I aggregate and add my personal rating against them and some comments why. Obviously it will be a personal rating and might be subjective. On the community plugins page (apex-plugin.com) people can rate the plugins too, but the rating is not part of the RSS feed so I can't show that. Another new feature of APEXBlogs v2 will be the synchronisation of Tweets with the hashtags of #apexblogs and/or #orclapex. Some of you might remember I enabled the synchronisation of Tweets with the hashtag of #apexblogs already in version 1, but I had to take it out as my procedure was sometimes hanging. My procedure/query would work in 95% of the times, but if Twitter was down, it would hang and the process would stay there forever. As Twitter was not that stable in the earlier days it caused to much of an issue, that was the reason it disappeared after a few weeks. But now it's there again and better than before! Again I use the same new APEX 4 features as with the blogs; namely the detail view of the Interactive Report to show the tweets exactly like I want. The above query would be easiest, but it won't always work. It depends the version of your database, your security settings and your environment. 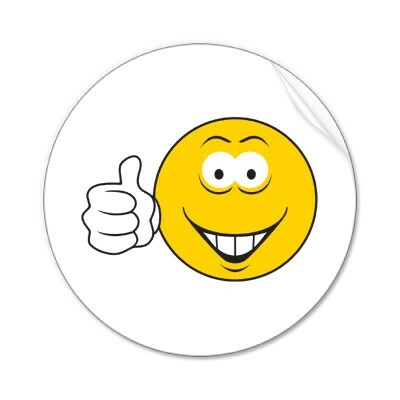 Forgot to add that the twitter stream in APEXBlogs v2 is not realtime anymore. I'm going to sync every hour and will put a timer on the page till the next sync. I choose to store the tweets in my own tables to have an archive, to increase performance and to enable easier search options through the Interactive Report. The main reason for APEXBlogs was to aggregate the blog posts and be able to search in an easy manner. The way it was initially implemented was through a normal (classic report) in APEX and a search bar which allowed you to search for any text. Next you had the possibility to search between dates or on specific blogs. To improve the standard functionalities of APEX 3.x I added some jQuery. E.g. clicking on the icon of "Blog Selection" would slide open the checkboxes with the blogs. 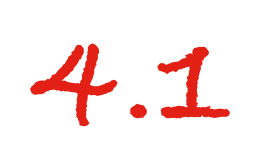 Another example is the use of the jQuery date picker instead of the standard date picker. 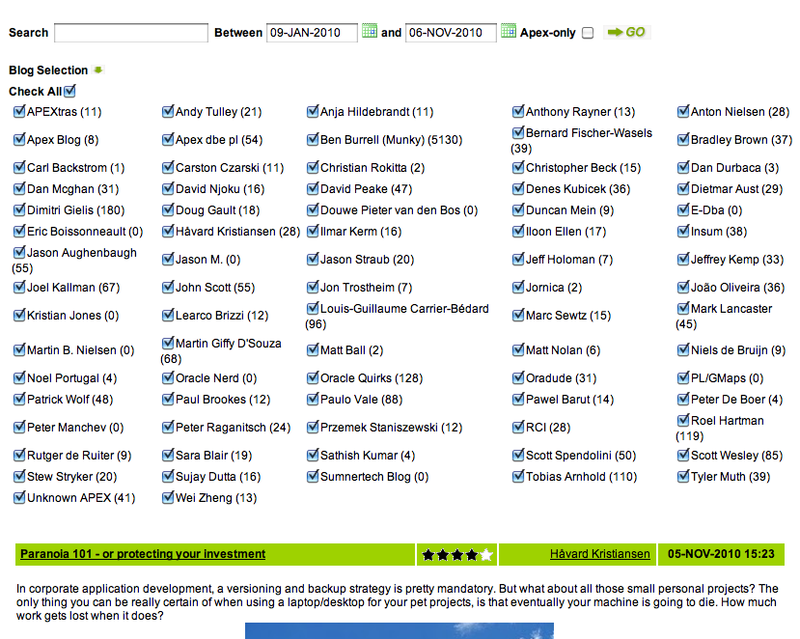 This is how the search and blog view looked in version APEXBlogs v1. APEXBlogs version 2 is written completely from scratch in APEX 4.0 and tries to use as much functionalities of APEX 4.0. So the above way of searching and the use of a classic report got replaced by an Interactive Report. This is how the report view of the Interactive Report looks like. 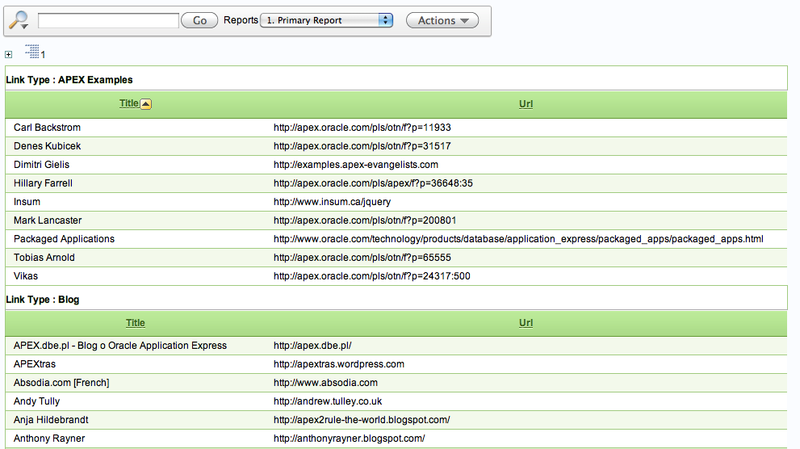 This is how the detail view of the Interactive Report looks like (new in APEX 4.0). As you can see, that view is similar to the classic report view I had in version 1. The big difference is that it's just an Interactive Report, so all functionality of the Interactive Report you can still use! Adding filters, group by, doing highlighting etc. You can just switch between the two views. If you didn't know this functionality existed, you find it in the Report Attributes of your Interactive Report. There is a Detail View section which you have to enable and then you can add the html code you want it to look like. 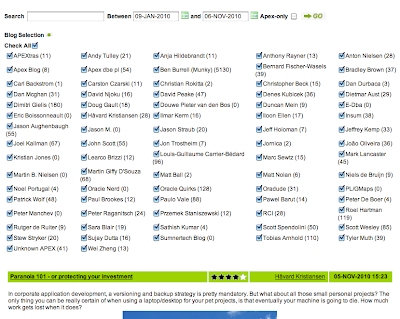 Very neat feature of the Interactive Reports and it became very useful with building this new version of APEXBlogs. 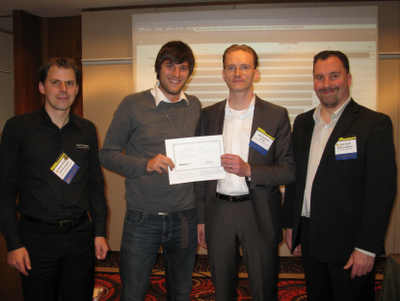 Last week the first European APEXPosed event took place. 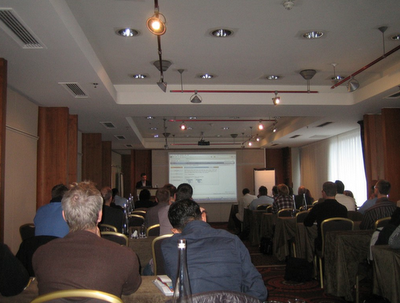 It was a very successful event with over 120 people spread over the APEX and PL/SQL sessions. 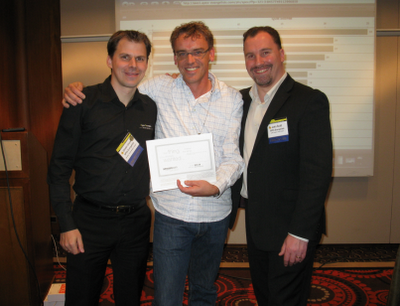 It was the first time ODTUG came to Europe and it was kind of special for me as it was in my own country. Although it took some time to organise (special thanks to Kathleen and her team) and also during the event we still had a lot to do, I'm so happy everybody seemed to enjoy the event. I believe the sessions where of a very high quality and the overall atmosphere was great (thanks to all the attendees!). Below you find some pictures of the event (thanks to Patrick and Kathleen to share it with me). During the reception on the first day we had some good laughs as well. It was a great opportunity to talk to all the people and have some drinks together. 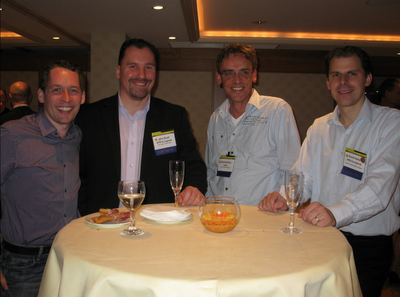 On the picture from left to right: Patrick, John, Roel and me. After the reception some of us went out to have some food. They thought I knew Brussels well, which is only partially true ;-) We were trying to get a place into the best two restaurants of Brussels but they were both fully booked, so we ended up in a Portuguese restaurant. If you couldn't make this one, we are doing another event in the first quarter of 2012! This post is part of the The 10 days of APEXBlogs. 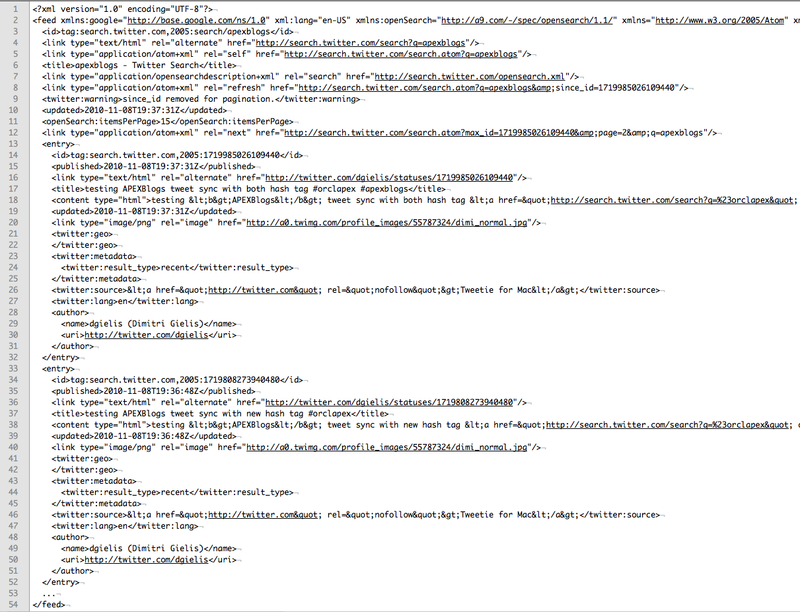 Lets start with some things you don't see of APEXBlogs; the code that is pulling all the information from the blogs and aggregating it together. The more blogs you have, the slower it gets to look for changes as it needs to connect to the blog, read, search for changes, disconnect, connect to the next blog, read, search for changes etc. There are different kinds of blogs e.g. WordPress, Blogger (Blogspot), WindowsLive etc. You would expect the RSS format is universal, but it isn't, so I ended up with different code for the different kinds of blogs. In version 2 of APEXBlogs there's only one connection necessary to update all the blogs at once. The reason is because Google Reader is in the middle now. Google Reader is basically doing the hard work. 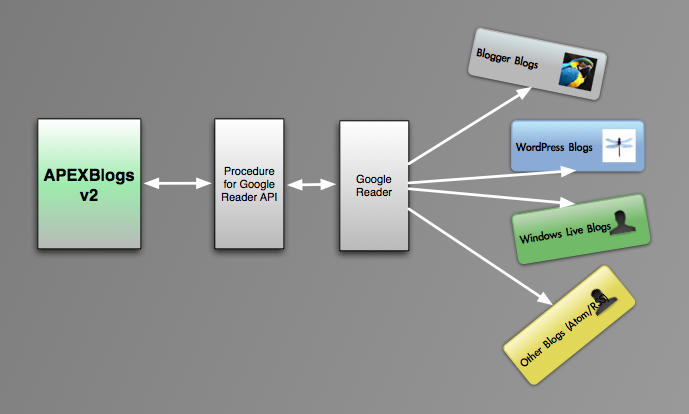 I setup a specific Google Reader account for APEXBlogs which now holds the blogs to aggregate. Now I just access the Google Reader API to retrieve the posts and search for changes and I merge that stream into the backend tables. Where the synchronisation of APEXBlogs version 1 took a couple of minutes, the synchronisation in version 2 is done in a couple of seconds. Also the database resources used and the network traffic are decreased a lot. 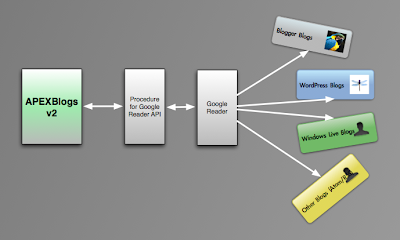 My code is a lot simpler as I only need to maintain one code base, the one for Google Reader. 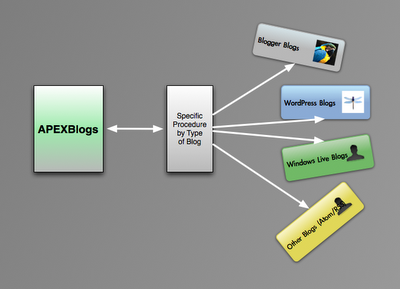 So now you know how things work behind the scenes... tomorrow I'll focus on how I show the blogs in APEXBlogs v2. 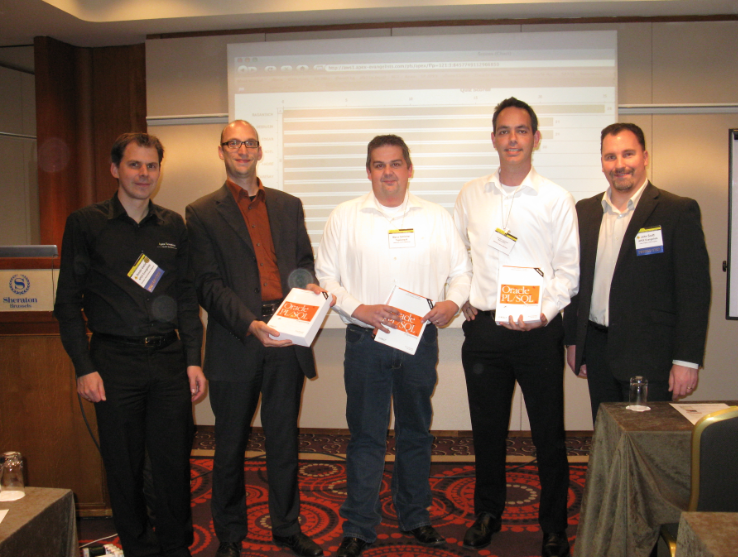 On March 29, 2011 the Oracle Benelux User Group (OBUG) will hold its 4th OBUG Benelux Connect. As in previous years, this event is being organized in close collaboration with Oracle. Possibly you were one of the 700 visitors who attended the 2010 event at the Papendal Conference Centre in Arnhem, The Netherlands in March earlier this year and you are eager to present your customer case at the upcoming OBUG Benelux Connect 2011. OBUG Benelux 2011 will be held at SQUARE Brussels Meeting Centre in Brussels, Belgium. Square is housed in an elegant, architecturally significant building originally constructed for the 1958 World Expo. The theme for OBUG Benelux Connect 2011 is "The Real User Experience". 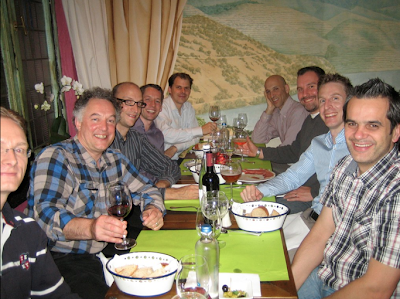 The strength of OBUG Benelux Connect is the customer cases presented by OBUG members and other Oracle customers. 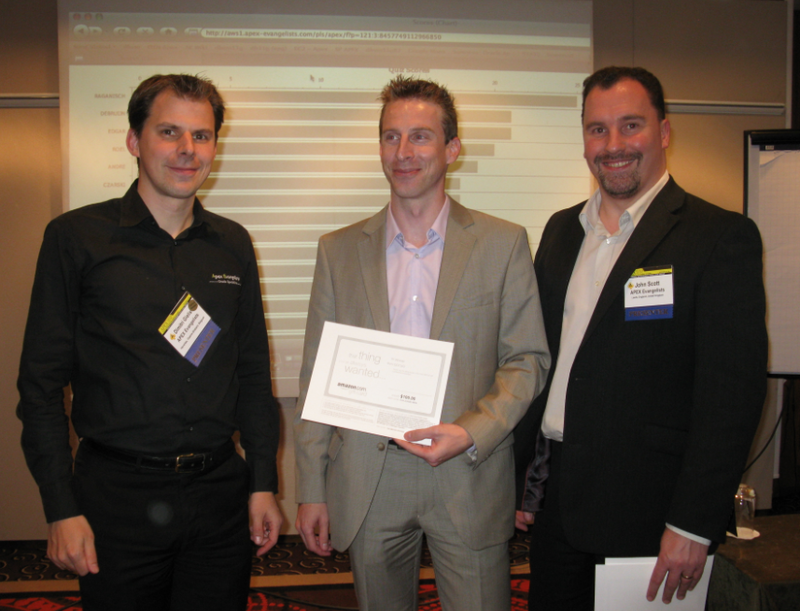 Learn from peers to maximise the value of your business-critical applications and technology. Speakers will share their experiences and business solutions with you in more than 40 sessions scheduled in different streams: Applications (Oracle eBS, Peoplesoft, Siebel, JD Edwards, Primavera), Technology (DBMS, JDeveloper/ADF, etc. ), Middleware (BPEL, SOA, EAS, etc.) & Business Intelligence (Hyperion, OBI, GRC, etc.). There will also be a complete APEX track. English, presentations to be given preferably in English). You can submit your abstract here. As in analogy with "The 14th Days of jQuery" I plan to write the next 10 days a blog post about the new features in APEXBlogs v2 (release planned for November 12th). - Show what you can do in APEX. 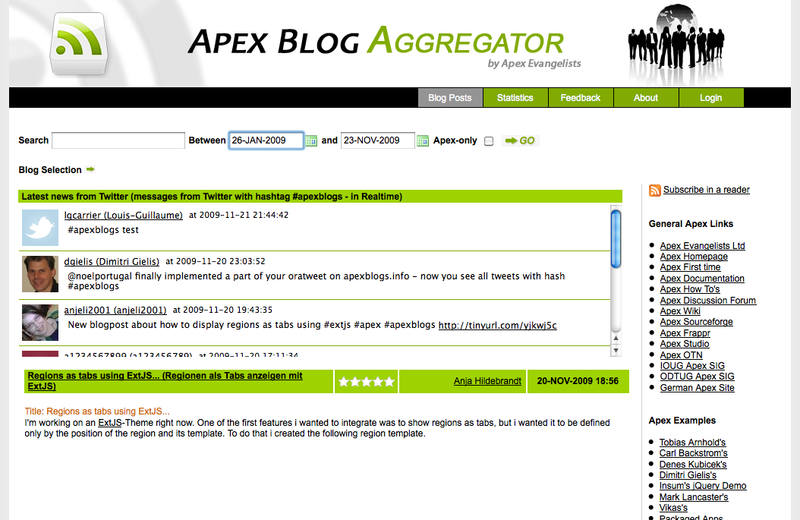 The initial release of APEXBlogs was written in April 2008, at that time APEX 3.0/3.1 and showed the integration of jQuery and other 3rd party components. I leave the current APEXBlogs site running, but am not doing any development or maintenance on it anymore. That means some links are out of date or some blogs don't get synced correctly. I'm sorry for that, but I decided to put my energy in the new version. I started version 2 of APEXBlogs a couple of months ago and decided to build it again from scratch in APEX 4.0. Version 2 is working in parallel for some time now and is syncing the blog posts, so any blog post written as we speak will appear in this new version when it goes live.